My teaching style is strongly student-centered and aimed at balacing grammar study with that of the Italian culture and history. It is also engaging, motivating, focused and goal-oriented. I like to use textbooks as well as videos, songs, flashcards to make the lessons more interesting, depending on the target students I have. – I have taught first year students at an Italian secondary school with a high number of foreign students. I have devised and designed Italian grammar and literature lessons consistent with government-approved programs and guidelines for this subject during the first year of secondary education. Working closely with the head Italian teacher, implementing programs tailored to meet each student’s needs and aiming at achieving good oral and written comprehension skills by the end of the school year. Preparing additional study materials, homework assignments and tests. – I have also extensively tutored several primary and secondary school pupils in a variety of subject ranging from Italian and English to History, Geography and French. I have a student-oriented teaching style focuses on each particular student, as this style assumes every student learns in a different capacity. I’m a very experienced, German native teacher with lots of energy, enthusiasm and patience . 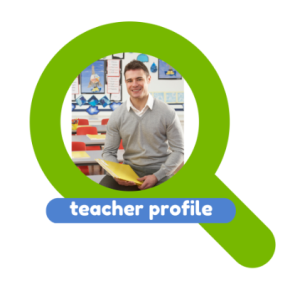 I have been teaching as a freelance German teacher since 2001 several agencies and am therefore familiar with GCSE and A-level teaching. I now teach mainly Corporate clients in the City on a 1:1 basis and in groups. I always motivate the studients in order to work hard. I don’t mind what’s their level of spanish, because if they want they can improve it. Actitude is more important than aptitud.